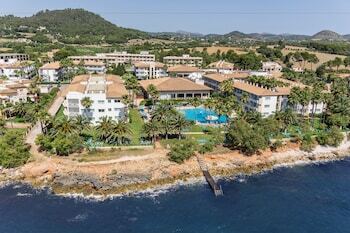 Located in Cala Bona, Grupotel Mallorca Mar is by the sea, within a 10-minute drive of Club De Golf de Son Servera and Parish Church of St. John the Baptist. Featured amenities include a business center, dry cleaning/laundry services, and a 24-hour front desk. Planning an event in Cala Bona? This aparthotel has 1615 square feet (150 square meters) of space consisting of a conference center and meeting rooms. Free self parking is available onsite.